On a cold grey blustery day in early April, I made my way to the Salon du Millesime 2015 Coteaux d’Aix-en-Provence held at the Hotel Renaissance in Aix-en-Provence. This is the only one of the repertoire of Provence tastings which takes place in the evening, from 4 to 9pm. In my post last year of the rosé 2014 vintage, I summed up the different regions of Coteaux d’Aix and noted how the four different terroirs had an impact on the styles of Coteaux d’Aix rosés. This year, the tasting table clearly indicated from which region each wine came from, which help tasters recognise regional styles. Sommelier Nadine Rosier was on hand to discuss the wines. For the 3rd year running, Richard Bampfield MW and Jean Christophe Mau of Chateau Brown from Bordeaux, have held a tasting of premium rosés (£15 and over) in London. My tasting results of my top 18 will appear in the September 2015 edition of Decanter’s Expert Choice (out 5 August 2015). Most tastings have a national or regional focus and it is rare to have the chance to see how a wine style compares to the international competition.These tastings have caught the UK wine trade’s imagination with a growing number of journalists covering the event. The UK trade magazine Drinks Business published their own tasting results for the 2013 and 2014 tastings. 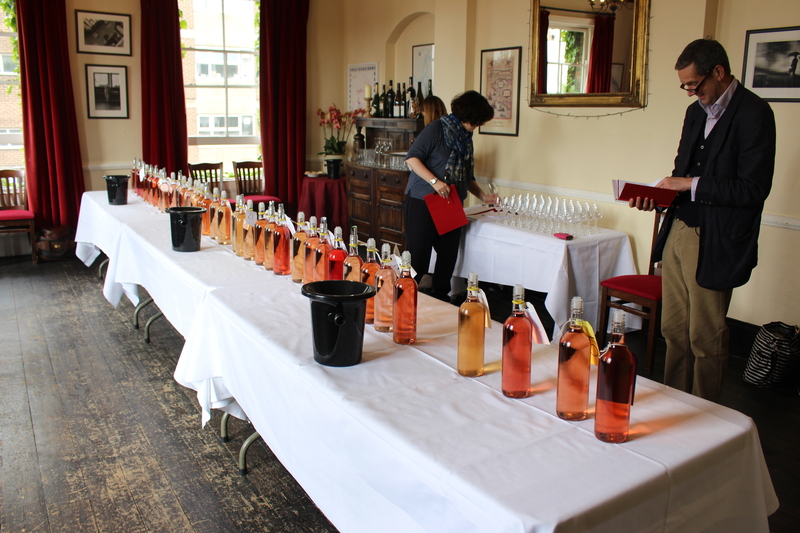 This year, the tasting was held at The Atlas pub in Fulham, there was a line up of 36 premium rosés from around the world ranging £12 to £100 per bottle. The growing importance of this tasting was maybe reflected by those who came (by invitation only). While I was there the other MWs were: Jancis Robinson MW, Mark Bingley MW, Nancy Gilchrist MW, Rosemary George MW and Matthew Stubbs MW. Journalists included Victoria Moore (The Telegraph), Joanna Simon, Joe Wadsack and Will Lyons. There were also a large number of MW students desperately keen to understand something about rosé.